Use the slider to adjust the measure of JKL. 1. What happens to NOP as JKL changes? 2. If JKL is an acute angle, what kind of angle will NOP be? 3. If JKL is obtuse, what kind of angle will NOP be? 4. 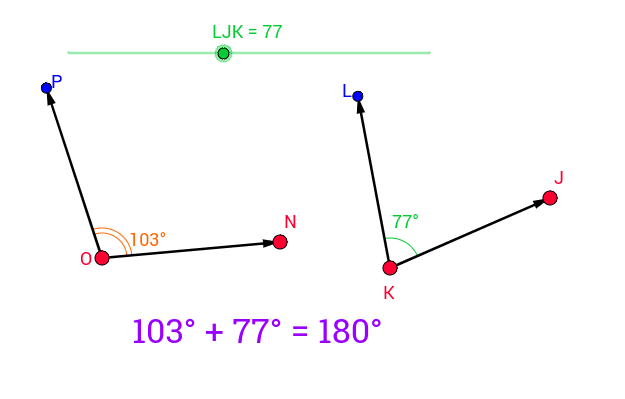 If JKL is right, what kind of angle will NOP be?